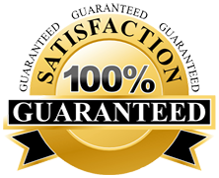 We work for you with our maximum potential in giving you the best garage door repair services in Brooklyn, NY. ASAP Garage Doors Repair is the one-stop company, where you can get all the services related to garage door repair. We make your life much easier! At ASAP Garage Door, Brooklyn, NY, we trust that your garage door ought to work on an ideal standard consistently, just the way you desire. We offer the skilled and faithful technicians who effectively repair, install, and maintain the garage door of your residence as well as offices in Brooklyn, NY. Our team operating in Brooklyn, NY is capable of meeting the client’s expectations within budgets. Whatever we say or promise, we are capable of fulfilling that by making our customer satisfied. The more our customers are satisfied, the more we get a good reputation all around! Do you need a help in repairing a garage doors/gates and an opener in Brooklyn, New York ? Feel free to request for a quote by calling ASAP today at (800) 490-0968! From residential repair service to commercial repair service, ASAP is all set to offer you 24 Hour Door Services. Our expert technicians are very friendly, active and fast at dealing the situation. They advise you better that when you actually want a door repair and when a replacement is needed. If your garage door or gate is jammed, we’ve got an electric opener to make you out of the problem by reprogramming it. If the garage door creates noise or get stuck while closing or opening, then your doors need a lubricating with metal rollers by making your gate or door neat and clean. If your garage door opens of its own or falls, we provide you the repairing and installing services. We provide our services in complete Brooklyn, New York area. This entry was posted in Brooklyn on February 18, 2016 by admin.